(Compiled from articles at IB Times, Slate and NBC) — A suicide bomber somehow managed to get inside the main U.S. military base in Afghanistan on Saturday and kill four Americans. Two U.S. service members and two civilian contractors were killed while 17 were wounded, of which 16 were Americans and one was a Polish service member. The attack took place early in the morning as people at Bagram Air Base were gathering for a “fun run” to mark Veterans Day, according to NBC News. The Taliban immediately claimed responsibility for the attack, which a spokesman for the group said had been planned for four months. Although rocket attacks on large bases in Iraq and Afghanistan are relatively common “a suicide bomber making it inside one is almost unheard of,” notes the Washington Post. There has never been a suicide bombing inside Bagram since it was open for U.S. troops in late 2001. Bagram Airfield features several layers of security, including retinal scans. It was unclear how someone got into the base with a suicide vest. 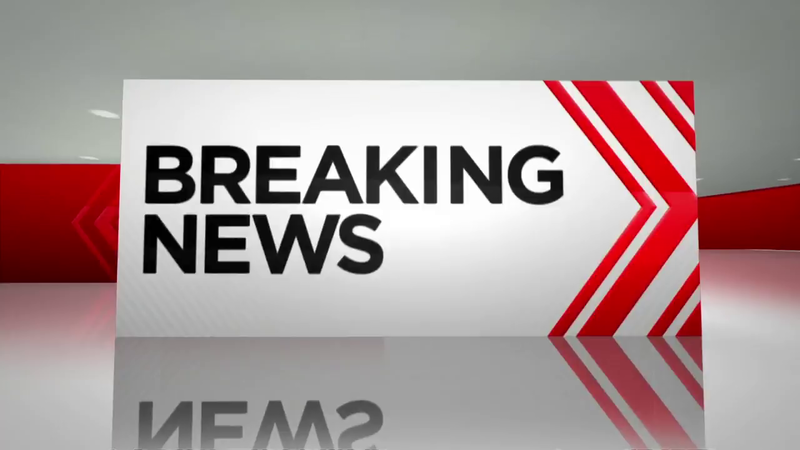 Although details are still scant, it seems the bomber “entered on foot hidden among a group of workers reporting for duty” at the base early in the morning, reports the New York Times. The base was put on lockdown following the attack. In addition, the US Embassy in Afghanistan made the unusual decision to close following that attack. A statement released from the embassy in Kabul said it will be “closed for routine services” on Sunday (November 13) as a “temporary precautionary measure,” reported AP. 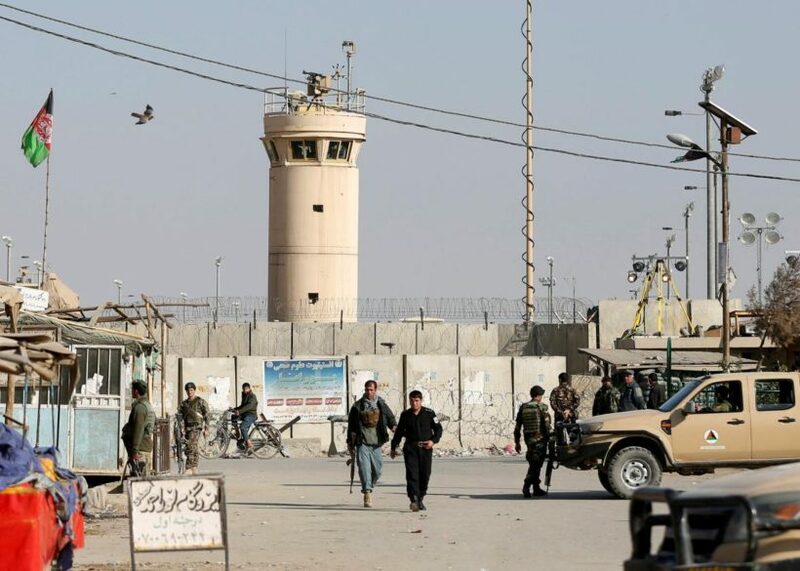 Two days earlier, in a similar attack, six people were killed at the German consulate in the northern city of Mazar-i-Sharif and more than 115 were injured. The Taliban took responsibility for both attacks. Its spokesman, Zabihullah Mujahid, said the militants had been sent with “a mission to destroy the German consulate general and kill whoever they found there,” according to Reuters. US Defense Secretary Ash Carter released a statement following the attack: “For those who carried out this attack, my message is simple. We will not be deterred in our mission to protect our homeland and help Afghanistan secure its own future,” he said. He also pledged that the Pentagon will investigate Saturday’s attack to determine what steps could be taken to improve their protection for the base, which was one of the deadliest incidents involving US soldiers in several years. President Obama initially promised to have all US forces out of the country by the end of his first presidential term, but abandoned that goal as Afghan forces struggled with the Taliban. Under current plans, 8,400 US troops will remain as part of the Nato-led Resolute Support operation. 1. 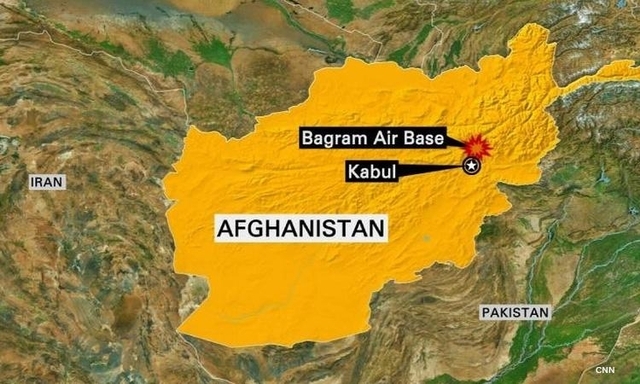 How many Americans were killed and/or wounded in a suicide bomb attack by Taliban terrorists at Bagram Air Base in Afghanistan over the weekend? 2. When did the attack take place? – What were the troops doing when they were attacked? 3. What is unusual about this suicide bombing? Be specific. 4. What type of attacks do U.S. troops usually experience while on base in Iraq and Afghanistan? 5. a) Who is the U.S. Secretary of Defense? b) What was Secretary Carter’s response to the attack? c) What do you think of the Defense Secretary’s response: too harsh, too mild, exactly what he should have said? Explain your answer. 6. a) What steps were taken on base following the attack? b) For what reason did the U.S. Embassy in Afghanistan close following the attack? c) Although the explanation is a quote from the Embassy’s statement, it appears the reporters are implying that routine maintenance is not the real reason. Why do you think the reporters made this implication?